Q:What kind of cars do you buy? A: We generally buy used cars that are in good working condition. 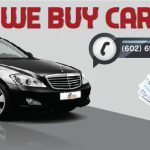 We also buy trucks, SUV’s, motorcycles, boats and RV’s. However, in some cases we will buy wrecked or non running vehicles as well, please call us and let us know what you have. Either way we can assist and help you. Q: How can I get an offer for my vehicle? / How to sell my car or truck? A: You can start by calling us with the details about your car or fill out the form on our website and we will call you. We then set an appointment and come to you at your conveince. Q: Can I get an offer for my car over the phone or via email? 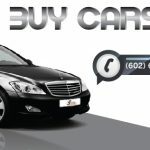 A: We can give you a general range of your cars value over the phone or through email, however our final offer cannot be made until we see the vehicles. Q: I have a title loan or bank loan on my car, can you still buy it? A: Yes we can, providing your car is worth more than you owe. We will handle all details with the title loan company or bank to pay off your loan. We can still purchase your vehicle if you owe more than it’s worth, you’ll just have to pay the difference. Q: Can I sell you a vehicle on behalf of a company? A: Yes, depending on the situation, there may be some additional documentation needed to complete the process. Q: If we agree on a price for my car, when do I get paid? A: As long as you have proper documentation, we pay you on the spot. Q: Does my title need to be notarized before I sell it to you? A: No it does not. We have a notary on staff. Q: If I sell my car to you and you buy it, do you offer a ride home? A: Yes of course we will give you a free ride home. Still have any question in your mind?